Orders for season tickets must be placed by September 6, either online or by mail. Please enter the number tickets in the box. The form will automatically calculate your total order. 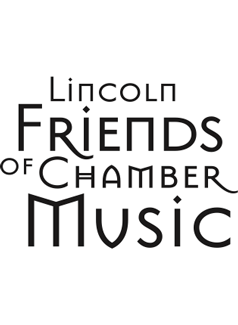 Once you enter your credit card information on this secure page and click or tap on the SUBMIT button, your credit card charge is processed, while the ticket order information goes to Lincoln Friends of Chamber Music. Single concert tickets will be available August 7 through the Lied Center Ticket Office only: in person, by phone at 402.472.4747, or online at www.liedcenter.org/events. Enter “lfcm” under Event Finder. Thank you for your interest in our concert season. Every year we make sure to take our artists out into the community and provide music outreach. Last year we impacted the lives of over 800 students across Lincoln. With your generous donation, not only will you get to experience the wonderful music our season has to offer, but you'll be able to make a positive difference in your musical community! Enter the amount of your donation. This will be added to the total of your ticket order. LFCM is a 501(c)(3) corporation. Your contribution may be deductible.